Montblanc will launch Legend Spirit, a new flanker to 2011's Montblanc Legend for Men. 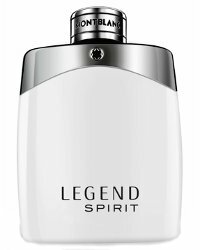 Legend Spirit was developed by perfumers Nathalie Lorson and Olivier Cresp. The notes for the fresh woody aromatic include pink pepper, grapefruit, bergamot, lavender, cardamom, aquatic accord, sandalwood, cedar, cashmere, oak moss and white musk. Montblanc Legend Spirit will be available in 30, 50 and 100 ml Eau de Toilette; look for it in Spring 2016.